WARREN, Ohio (MyValleyTributes) - Erma Jane "Sue" Hamilton, age 79, of Fountain Hills, Arizona, passed away peacefully into eternal rest at home surrounded by family on Friday morning, January 19, 2019 after a long illness. She was born on January 22, 1939 in Warren, Ohio the daughter of Harry E. Moss and Erma E. (McClain) Moss. Susie was the youngest of eight children and her very best friends were found in her sisters and brothers. She was preceded in death by her parents; three sisters, Ada Ruth Church, Alda "Curly" Gordon and Almira Rood and three brothers, Samuel, Charles and Robert Moss. Her sister, Vera (Robert) Goode survives along with her sisters-in-law, Vera and Frances Moss and many beloved nieces and nephews. Sue had a lifelong love of entrepreneurship and worked as a self-employed hair stylist for over 40 years, retiring in 2005. She opened the first beauty salon in Cortland, Ohio in 1960, Sue’s Style Salon. She took great pride in her shop and her clientele quickly became friends. She and her husband, Robert Hamilton, were married on November 21, 1961. Their two daughters, Cynthia "Cindy" Lynn (Gary) Smith and Diane Sue (Richard) Evans, who survive, brought tremendous happiness to Sue and all of her efforts and activities were centered around family life. However, there’s no denying that her grandchildren were her greatest pride and joy: Kyle (Stephanie) Tennant, Jeremy (Tiffany) Smith, Audrey (Luke) Gale, Logan (Eternity) Cain, Evan Cain, Connor Cain and Daniel Evans all survive. Sue was a great-grandmother to Jack Tennant, Jake and Mackenzie Smith. Her husband Bob, who survives, selflessly cared for her significant health challenges over the past ten years, considering it a privilege. Sue and Bob moved to Fountain Hills, Arizona in 2014 to join Cindy’s family and enjoy the yearlong sunshine, hoping her health would improve. 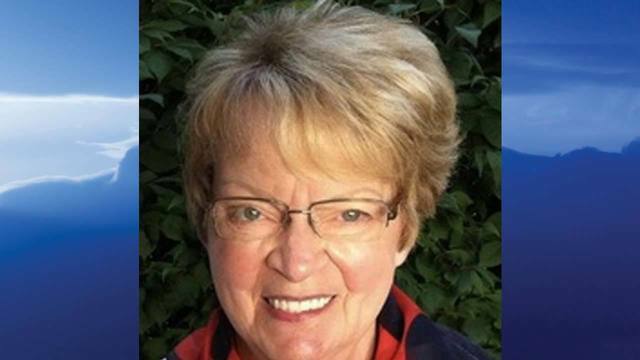 Sue was active in the life of the church coordinating events and volunteering with the Rebecca Williams Community Center in Warren and with the Girl Scouts. Gardening, bowling and home decorating were hobbies she also enjoyed. She loved her lifelong monthly "Girl’s Club" gatherings which spanned 50 years. Funeral services will be held at the James Funeral Home in Newton Falls on Saturday, January 26, 2019 at Noon. Calling hours will be two hours prior to the service from 10:00 a.m. - 12:00 Noon at the funeral home on Saturday, January 26. She will be laid to rest at Hawley Cemetery in Paris Township, Ohio. In lieu of flowers, the family requests that remembrances be given to Regeneration, a ministry of Grace Church, 1725 Drexel Avenue NW, Warren, OH 44485. Arrangements have been entrusted to the James Funeral Home, 8 East Broad Street, Newton Falls, OH 4444 (330) 872-5440. Family and friends may send condolences to the family, please visit us at www.jamesfuneralhomeinc.com. A television tribute will air Thursday, January 24 at the following approximate times: 6:41 a.m. WYTV and 8:41 a.m. MyYTV and 9:58 a.m. on FOX plus two additional spots throughout the day.